There is something simultaneously adorable and heartbreaking about a service dog who fails training. 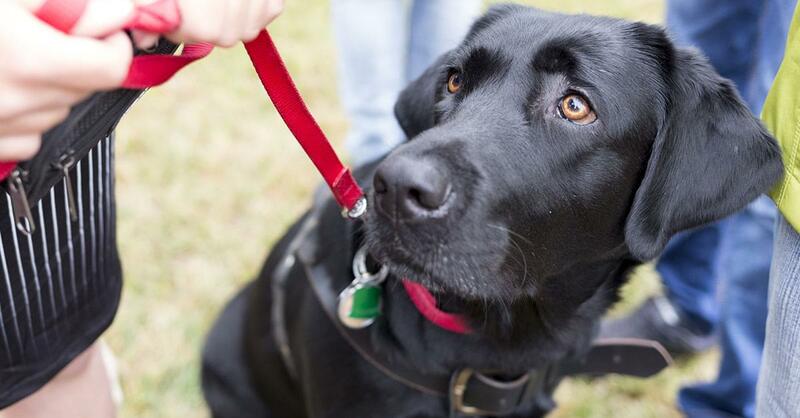 While many service dogs do graduate and go onto have successful careers, there are a number of reasons they can be dropped from their programs, including nervousness, lack of drive, and a personality that doesn’t fit the gig. For some, the reason for failure can even be having too “nice” of a temperament. The BBC reported on one puppy that went viral for being too friendly for the Queensland Dog Squad (the police force), as he was so fond of greeting strangers. Thankfully, he went on to join Queensland’s Government House as the official Vice-Regal dog, a job that suits him much better than the front lines. For future dog owners interested in German Shorthaired Pointers, Labrador retrievers, German shepherds, and Belgian Malinois, it’s worth reaching out to inquire about these pups who are more interested in snugs than drugs. For other people hoping to adopt “career change” dogs — or dogs who weren’t cut out for their “jobs” — there are a number of organizations that work with finding the animals forever homes. Read more via thisisinsider.com.